The 2014-15 year has been a landmark for the ‘Friends’ group, as it marked the completion of the O’Keefe Rail Trail upgrade and extension between Bendigo and Heathcote. The group’s supporters and members of the general public are invited to attend the 2015 AGM. The AGM guest speaker will be Linda Beilharz OAM. 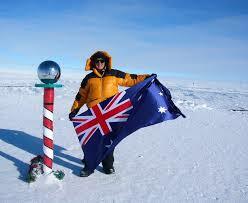 Linda is the first Australian woman to have skied from the edge of land to the South and North Poles. Linda has been included in the Victorian Honour Roll for Women, recognized by Australian Geographic as Adventurer of the Year 2010 and in January 2013 was awarded the OAM and named Citizen of the Year by the City of Greater Bendigo. Linda is a renowned speaker, having given more than 500 presentations.